Isaac McAllister Waddell, Margaret Watson Waddell (first wife), Ann Cannon Lambert Waddell (second wife), and Leonora Emma Lambert Waddell (third wife). Photos of Isaac, Ann, and Leonora, courtesy of Eva Waddell McCall. Photo of Margaret, courtesy of Richard Wheeler. Isaac McAllister Waddell was born October 31, 1842 in Glasgow, Lanark, Scotland. Isaac joined The Church of Jesus Christ of Latter-day Saints, emigrated to America, and settled in Salt Lake City, Utah. During the course of his life, Isaac had three wives. The first marriage ended in divorce. Isaac married for a third time after the death of his second wife. 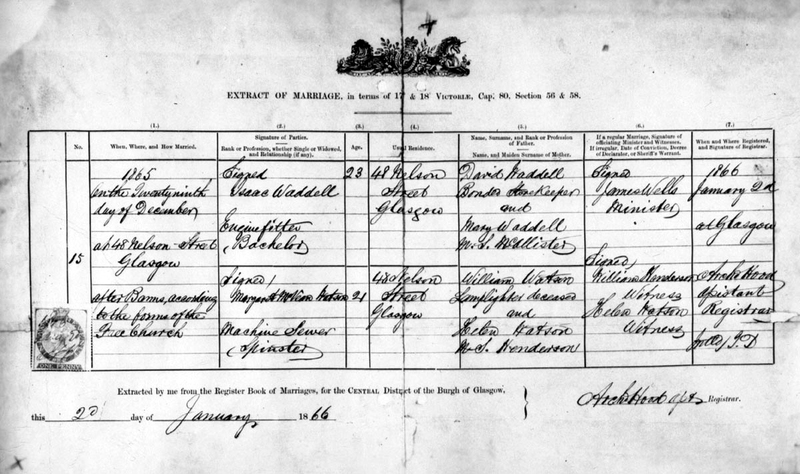 His wives were: Margaret McVean Watson (married December 29, 1865 in Glasgow, Scotland); Ann Teanora Lambert (married July 19, 1874 in Salt Lake City, Utah); and Leonora Emma Lambert (married September 20, 1878 in the Endowment House in Salt Lake City, Utah). Isaac died December 13, 1902 in Salt Lake City. He was also buried there. 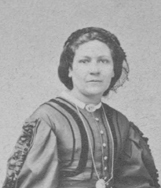 Ann died December 29, 1876. Leonora died July 27, 1939 in Modesto, Stanislaus, California, and was buried August 1, 1939 in Alta Cemetery in Alta, Teton, Wyoming. 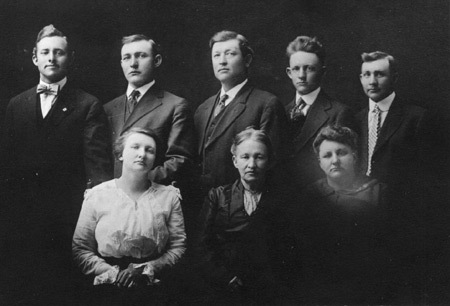 If you have any information or photographs of members of this family that you would like to share, please contact us at postmaster@sedgwickresearch.com. 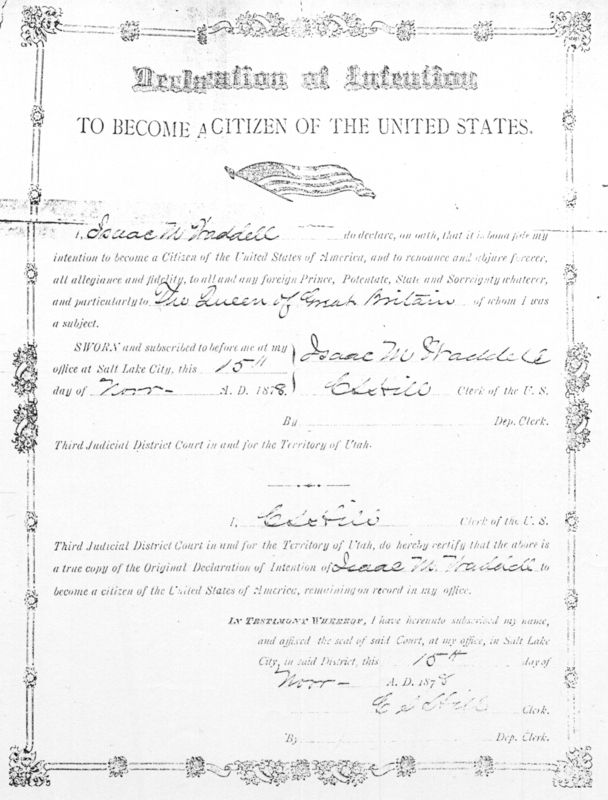 Isaac Waddell's Application for United States Citizenship: (This is a scan of a photocopy of the original, but it is still legible). Isaac Waddell's Obituary: From the Salt Lake Tribune December 14, 1902. 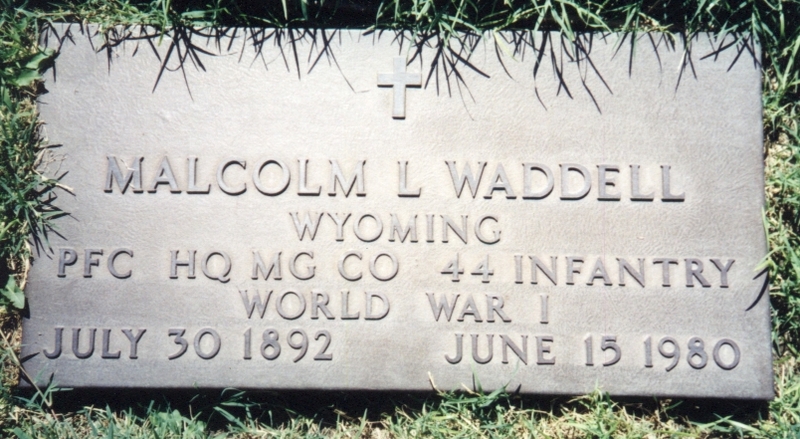 Malcolm Waddell's Headstone: Malcolm is the son of Isaac and Leonora Lambert Waddell. He was buried in the Lakewood Memorial Park, Hughson, Stanislaus County, California. 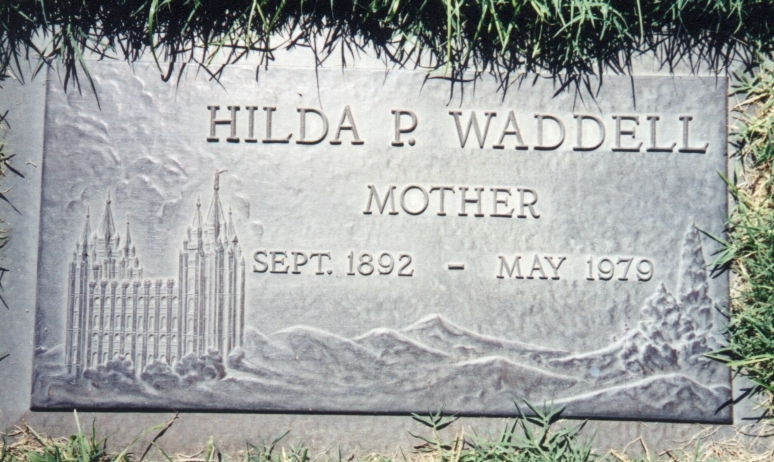 Hilda Peterson Waddell's Headstone: Hilda is the wife of Malcolm. She was also buried in Lakewood Memorial Park in Hughson, California. 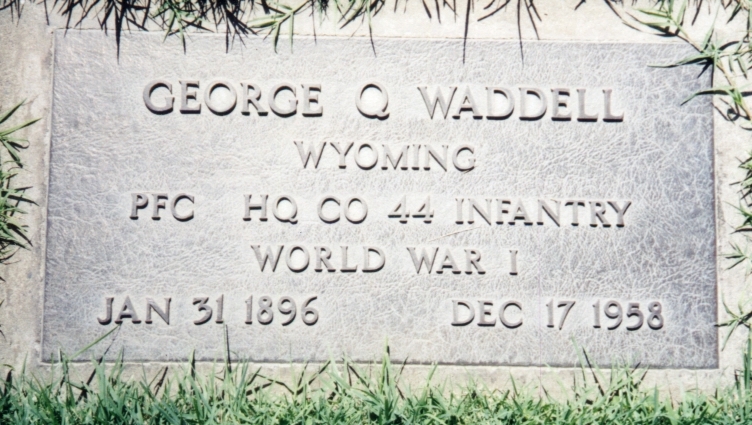 George Quayle Cannon Waddell's Headstone: George is the son of Isaac and Leonora Waddell. He was buried in Lakewood Memorial Park in Hughson, California. 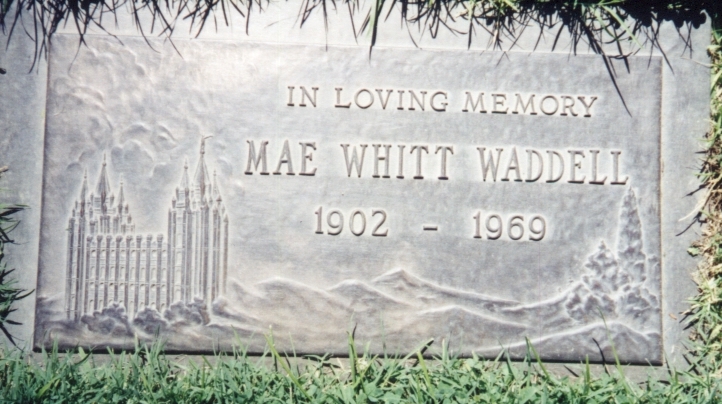 Mae Whitt Waddell's Headstone: Mae is the wife of George. She was also buried in Lakewood Memorial Park in Hughson, California. 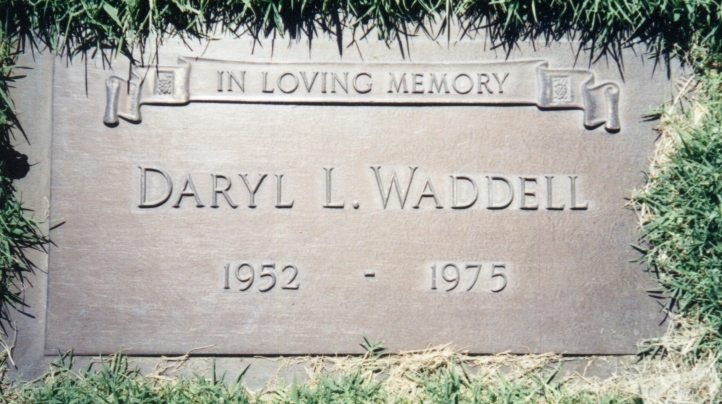 Daryl L. Waddell's Headstone: He was also buried in Lakewood Memorial Park in Hughson, California. The Waddell Family Genforum: A bulletin board and information sharing service for the Waddell Family.